A must read, even if you're not into politics. Maybe not what we want to know, but what we need to know. Helped me understand better the world we live in like a book hasn't done in a while. Very highly recommend. Excellent reading performance helps a lot. Programmers are some of the least-known, understood, or inquired-of people on the planet. 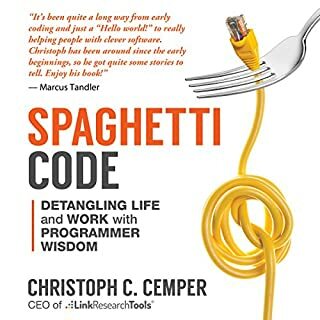 One of Christoph C. Cemper’s goals, in his audiobook, Spaghetti Code: Detangling Life and Work with Programmer Wisdom, is to bring more recognition to this vast group of professionals and the amazing work they perform. Now, from the vantage of more than three decades of being a part of the programmer community, Cemper relates his stories from the front lines of programming. As a software developer, I decided to get this book without even reading reviews first. Was very interested in seeing how the author would relate software development with life lessons or maybe hear some of his stories as a software developer that I could relate to. Well... neither happened. The author just puts a bunch of random thoughts together and then tries to relate them to software development. Doesn't make sense, most of what he says I've heard it somewhere else better explained and it's too wordy and often repeats itself. Whether you're in software or not, I recommend you stay away from this book. You learn nothing and you waste your time. Very well written and read. This is one of those occasions where I really envy the author for being able to express his thoughts with such wonderful words, expressions, analogies, etc.. making great use of all communication tools. Highly recommend, especially if your over 40 and have enough bagage to better relate to what the author is talking about. The book goes over areas that I would probably never have gone to by reading/listening otherwise, such as geology, astronomy, DNA, etc. and does a really good job at keeping them insteresting and even funny. Big kudos for the narrator as well who keeps the tone jovial. Very glad I took the time to read it. At times the book makes you feel insignificant with so much that is out there in space and time: we're small, live for small amount of time and we're lucky we're even here :) but hey, that's how it is. This book is filled with great information about how we humans work based on many different researches throughout the world and the years. 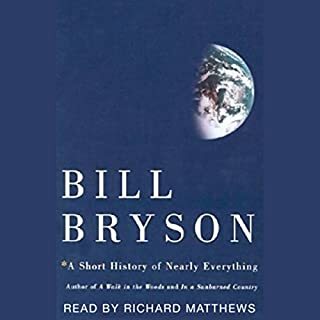 Some topics are covered by other books in greater depth, but I found that here you have just the right amount of explanation to understand what's going on and with a bit of humour to add to it.If you read other books on Human behavior and how the brain works, some info here may be repeated, but if not, I highly recommend you listen to this and you'll be surprised at how we deceive ourselves in so many different fronts.The only thing I wish there was is a PDF with a summary of the 46 chapters (maybe just the chapter name, even). It would greatly help remembering everything we learned. I'm a fan of Starbucks and have great respect for what they achieved. I was aware of the troubles they went through in 2008-2010 and it's good to hear from the CEO's perspective what happened and how they turned around. 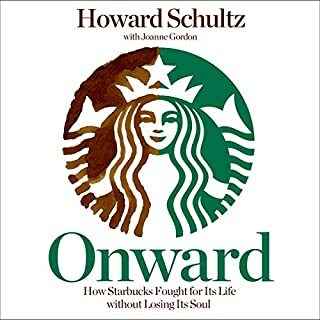 Gives us good insight on how successful CEO's think and operate and we get a better understanding of what Starbucks is about. That said, this book could be about half the lenght... at times it goes on and on and on about things that are not relevant. For example at one point Mr Schultz rambles on about what customers might be doing at a store when the point he was trying to make was something else altogether. Still, a good story about Starbucks' history. Enjoyed it. Riveting story, the way it's supposed to be read! The story of this guy is amazing. There are some technical terms but not too much (I'm an IT guy and recognized most of what he was talking about). He makes it sound simple, but it's not. Some of the things he went through are unbelievable. One big point of this book is the reader's performance. I think it's the best so far that I've listened. Always appropriate to the situation, without overdoing it. From Gregorian Chant to Henryk Gorecki, the first living classical composer to get into the pop album charts, here is the fascinating story of over a thousand years of Western classical music and the composers who have sought to express in music the deepest of human feelings and emotions. Also available: The History of Opera. 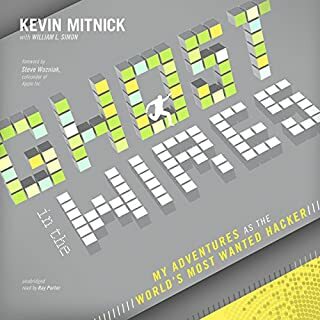 This book was a break from the usual books I listen. It was great to learn more about a topic I wansn't very familiar with and with music every now and then. 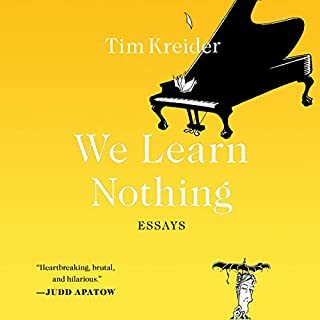 Very good read, just wish the author would include more music to exemplify what he's talking about, especially when talking about the techniques used by composers. 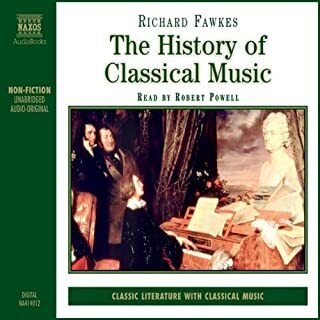 I think I now have a better appreciation of classical music and understand better what the composers were trying to do. Recommended listen! 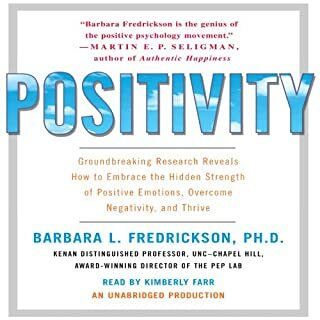 A bit ironic that I'm saying negative things on a book about positivity, but oh well.. The content of the book is overall ok and gets better towards the end. I think it could be a lot shorter as the author sometimes goes into examples that take too long and are not always as applicable to the point she's trying to make as I would like. 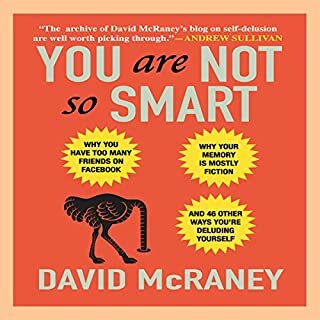 Other books based on scientific studies (such as Dan Ariely's) also present studies but in a much clearer and funnier way, which helps us readers enjoy and remember more. Also the narrator seems like she's reading a fairy tale. I stuck through the whole thing and learned a few things, but overall it wasn't a ver good experience, in my opinion. Just as we were getting used to the Information Age, Daniel Pink tells us that it is ending. With it goes our focus on charts, statistics, and linear thinking. Traditional "left-brain" activities, like logic, analysis, and repetitive production, are being turned over to robots, computers, and offshore labor. The valued skills of the 21st Century will be those of the right brain: empathy, design, synthesis, and contextual thinking. 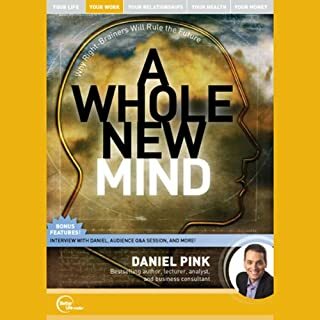 Read the book about a year ago and decided to listen to this talk instead of listening to the whole book again. It's a great talk and makes the same arguments as in the book in a succint way. 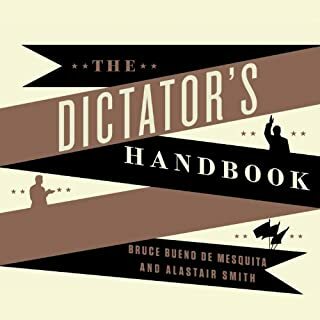 Great complement to the book and very funny too, which makes it easier to listen and remember.